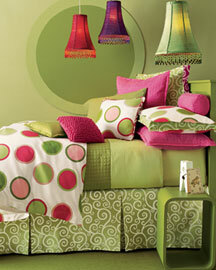 I am playing along with Trish today, and wishing her well, hope you feel better soon! 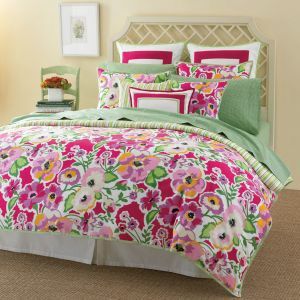 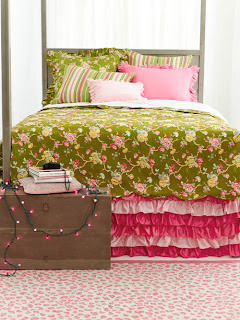 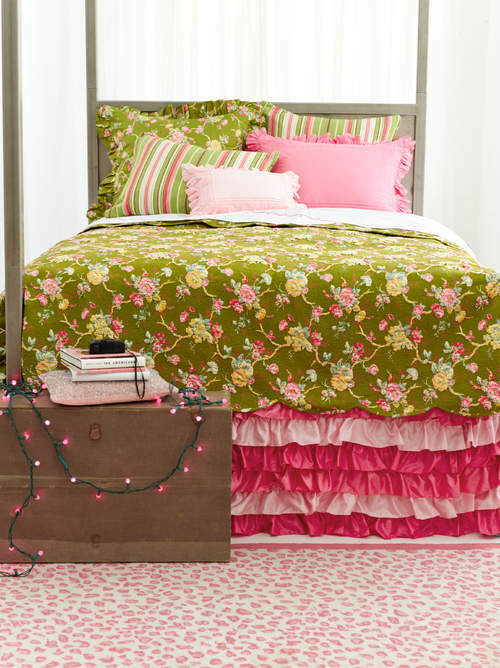 I have been looking at bedding sets lately, thinking of spring and summer and how I would like to dress up my bed. Realistically right now my bedroom is a nice soft yellow, but I know one day these will come in handy! 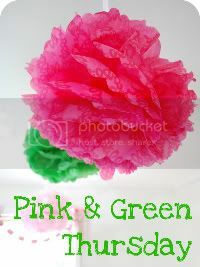 OOooo, I love the first one and the fifth one, beautiful! 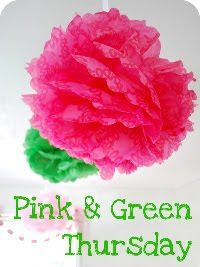 That ruffle is a killer!